I am a writer, essayist and social researcher with a focus on social and environmental justice, education and global politics. My work has been featured in Vogue, Blavity, i-D and ES Magazine amongst others. 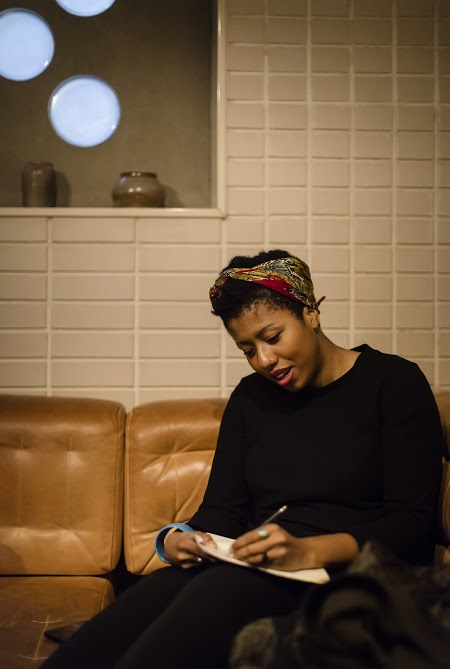 I have toured with my poetry both nationally and internationally, most notably at Glastonbury, Edinburgh Fringe and StAnza Poetry Festival, St Andrews and Cúirt Literature Festival in Galway as well as a literary tour in Northern India with the British Council. I have also been commissioned by Apples and Snakes, the RSA, A New Direction and the Wellcome Trust. My debut collection, The Secrets I Let Slip, was published by Burning Eye Books in 2015 and is a Poetry Book Society (PBS) recommendation. I have written for outlets including for The Guardian, Red Pepper, Sable Litmag and the New Humanist. I was previously Co-Editor for women’s news portal, Women’s Views on News for a number of years. I have also chaired events, spoken on a number of panels on education, identity politics and the role of art as a tool of activism. I have worked in a number of social policy roles for not for profit organisations including UN Women, the Equality and Human Rights Commission, Capacity Global (an environmental think tank) and at the RSA. I am currently Director of a human rights education programme. I think art (in my case poetry) can be a massive and powerful tool of social change that I use as often as possible for this reason. As such, much of my poetry touches on social and environmental justice as well as identity, nostalgia and belonging. If you would like to read some of my work, please click on links above where you can find samples of both my poetry, essays and articles from over the years.